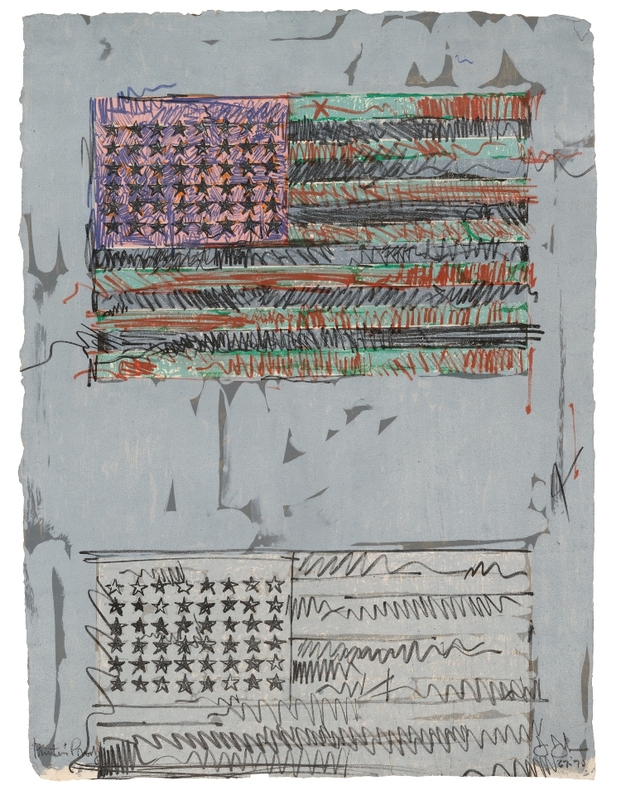 Jasper Johns, Flags II, 1970. Lithograph, 34 x 25 in. Published by Universal Limited Art Editions. John and Maxine Belger Foundation © Jasper Johns and ULAE / Licensed by VAGA, New York, NY. George Luks, Blue Devils on Fifth Avenue, 1918. Oil on canvas, 38 5/8 x 44 1/2 in. The Phillips Collection, Washington, D.C. Acquired 1918. This painting depicts the marching of French veterans in the Liberty Loan Drive parade in New York on April 30, 1918. Executed by George Luks especially for a war exhibition at New York’s Kraushaar Gallery in May 1918, the work appealed to Duncan Phillips’s patriotism and political efforts during the First World War.